What will happen to Prince's unreleased recordings? Plenty of fans would like to hear everything Prince ever recorded. "If they could somehow do compilations, that would be great. 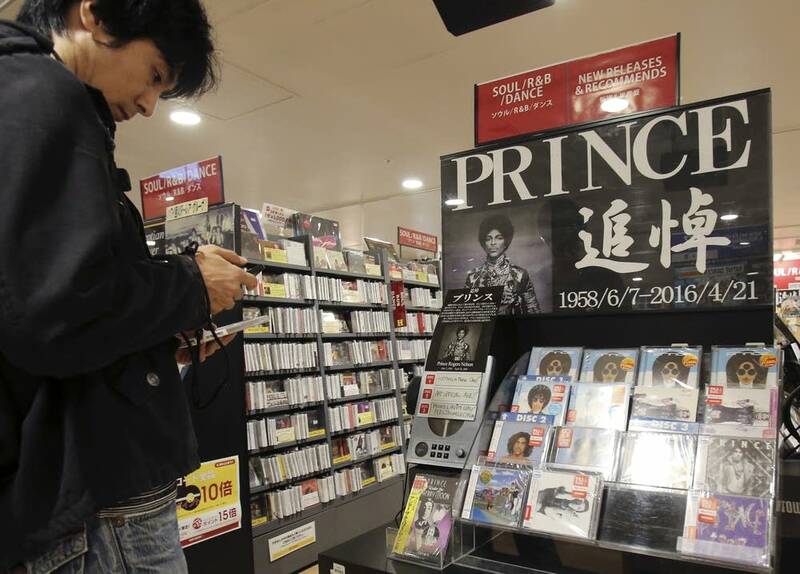 I would be right there on the waiting list to buy it," said Sunny Perez of Baltimore, who made a pilgrimage to Paisley Park last week to pay her respects to the Minnesota music icon, who died Thursday at 57. By many accounts Prince left behind a lot of unreleased recordings. "The lobby of Paisley Park is pretty large and underneath is the bank vault that holds his masters," said Tom Garneau, who worked as an audio engineer for Prince between 1989 and 1996. "When I left, there was 50 unreleased albums worth of music in the basement." Eric Leeds, who played saxophone for Prince off and on between 1995 and 2003, said he played on plenty of tracks in the vault. "Not all of it was great," he said. "A lot of it was just part of the process." Leeds said he can't think of anyone who would be qualified to make decisions on what should be released. "At the end of the day, maybe it's just best to leave it as it is, because that's the way it was when he died and maybe that's the way it should be," Leeds said. Indeed, not all fans are chomping at the bit to hear music the late musician never released. "People will hate this, but I think we leave it alone," said George Borum of Virginia, who flew to Minnesota after getting word that Prince had died. "He's left us with a treasure trove of music. Let's live with that." Whether the music in the vault is released could be up to the guidance of Prince's will or the executor of his estate, the details of which have not been made public. Judith Younger, a University of Minnesota law professor who specializes in wills and trusts, said she'd be surprised if Prince didn't have a will outlining his expectations regarding property, including any unreleased recordings. But she said there are some instances in which courts may not follow wishes outlined in wills. She said if Prince requested that any of his recordings be destroyed, a judge may object because the content could be considered too valuable. Courts, she said, don't like to be wasteful.